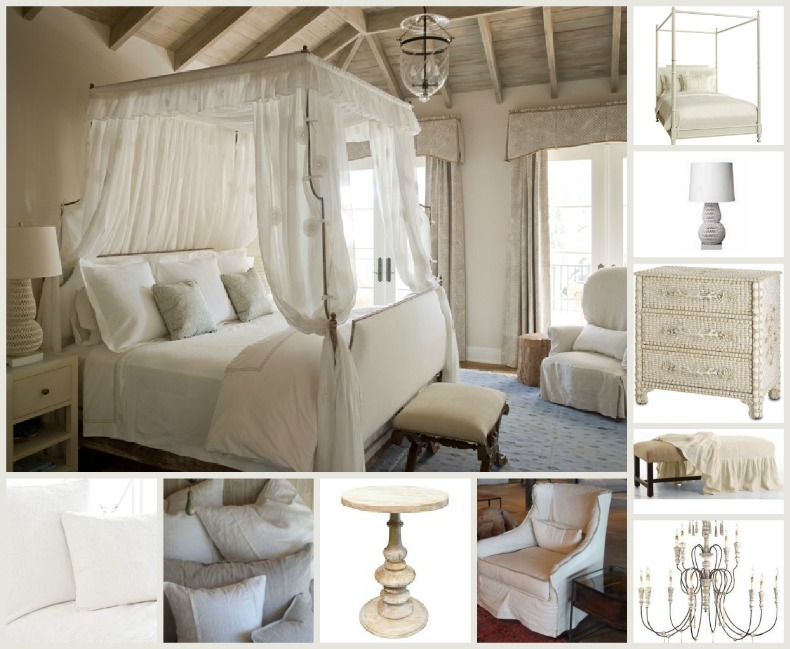 Our Design Crew found lovely pieces to create your romantic coastal bedroom. Coastal white on white seashore inspired romantic bedroom with coastal classic bedroom furnishings. A classic coastal style with cottage style bedroom decor and accents just right to create this beach house look.